Tania Voon is Professor at Melbourne Law School, The University of Melbourne. She is a former Legal Officer of the Appellate Body Secretariat of the World Trade Organization (WTO) and has previously practised law with Mallesons Stephen Jaques and the Australian Government Solicitor. In addition to her current role, Tania has taught law at the National University of Singapore, Georgetown University, the University of British Columbia, the University of Western Ontario, the Australian National University, Monash University, and Bond University. Tania undertook her Master of Laws at Harvard Law School and her PhD in Law at the University of Cambridge. Tania has published widely in the areas of public international law and international economic law. She is the author of Cultural Products and the World Trade Organization (Cambridge: Cambridge University Press, 2007) and editor of Trade Liberalisation and International Co-operation: A Legal Analysis of the Trans-Pacific Partnership Agreement (Edward Elgar, UK, 2013). She is a member of the Editorial Boards of the Journal of International Economic Law, Journal of International Arbitration, and Australian Year Book of International Law, and Co-Editor of the Oxford University Press Series on International Economic Law. 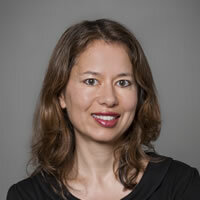 Tania is a member of the Indicative List of Governmental and Non-Governmental Panelists for resolving WTO disputes and the Roster of Panellists to assist in the resolution of trade disputes between parties to the Energy Charter Treaty. She has provided expert advice and training to entities such as the Australian Department of Foreign Affairs and Trade, the WTO, the World Health Organization, the United Nations Conference on Trade and Development, Telstra, and the McCabe Centre for Law and Cancer. In recent years she has been Senior Emile Noël Fellow at the Jean Monnet Center for International and Regional Economic Law & Justice at New York University School of Law (2014), Visiting Fellow at PluriCourts at the University of Oslo (2015), Visiting Fellow at the University of Cambridge (Lauterpacht Centre for International Law, Faculty of Law, and Clare Hall) (2016) and Scholar in Residence at WilmerHale’s arbitration group in London (2016).